"The Romanovs, The Final Chapter". 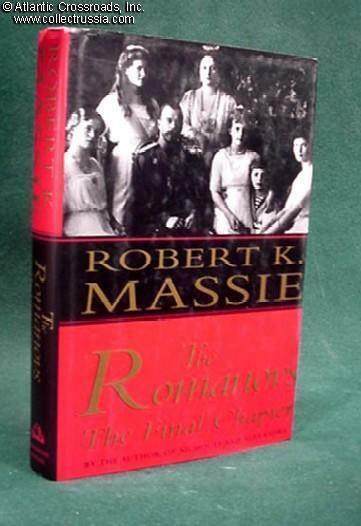 "The Romanovs, The Final Chapter". Robert Massie, C. 1995. Hardcover edition. In English. Written like a good detective story, this riveting scientific thriller examines the evidence and international dispute linking the skeletons exhumed in 1991 in Siberia with the last of the Romanovs killed in the early period of the Russian Revolution. Settles many old mysteries, including the true identity of "Anna Anderson" who claimed to be the Grand Duchess Anastasia.